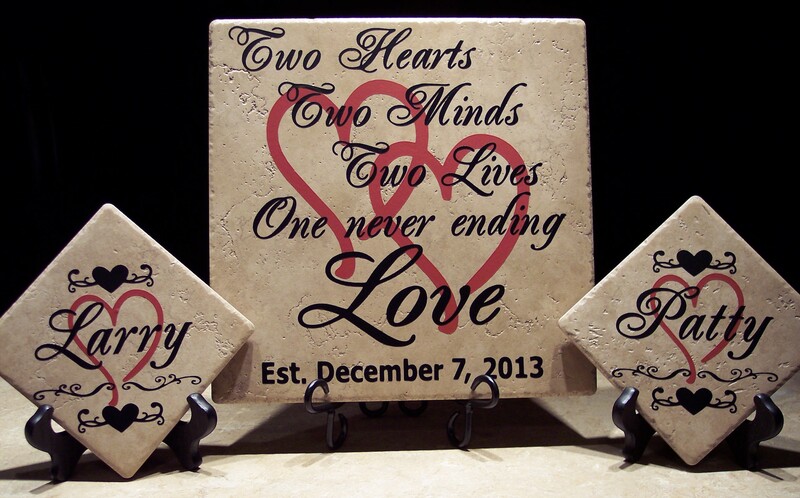 Set of 3 Personalized Wedding Tiles/ Version #2 with Red Hearts: Two Hearts, Two Minds, One Never Ending Love — with wedding date and couple’s first names. 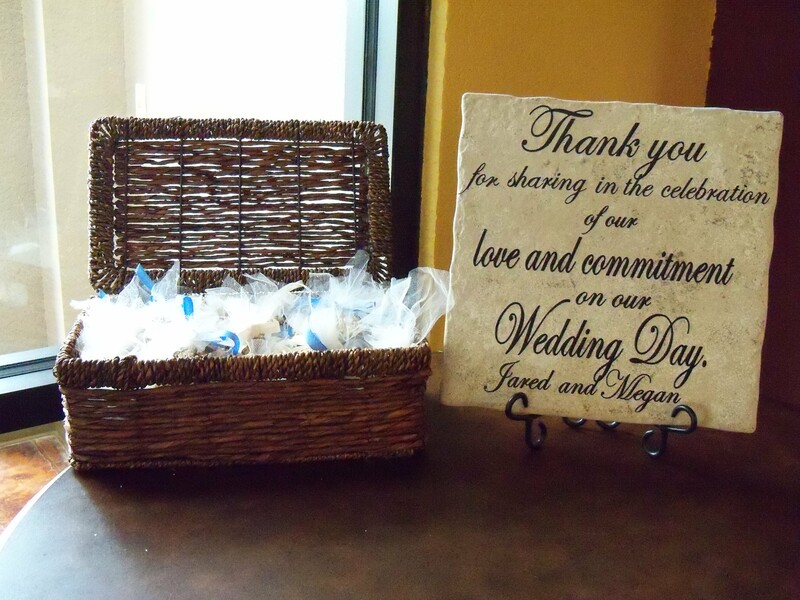 Another fabulous wedding gift for the bride & groom! Set of 3 Personalized Wedding Tiles/Version #2 – Includes 12″ tile with the “Two Hearts Two Minds, One Never Ending Love” saying with the couple’s wedding date across the bottom of the tile, plus two 6-inch or 6.5″ tiles with the bride’s name and one with the groom’s name, along with 1 metal stand for the 12″ tile, and 2 wood stands for the small tiles. This set would normally be priced at $59 if purchased individually, but we will create it for your special couple for only $45 — that’s a savings of $14!!! NOTE: Please let us know if you want the 6-inch tiles turned in the diamond shape (as shown in this photo) or if you want them to sit straight across in the wood stands. 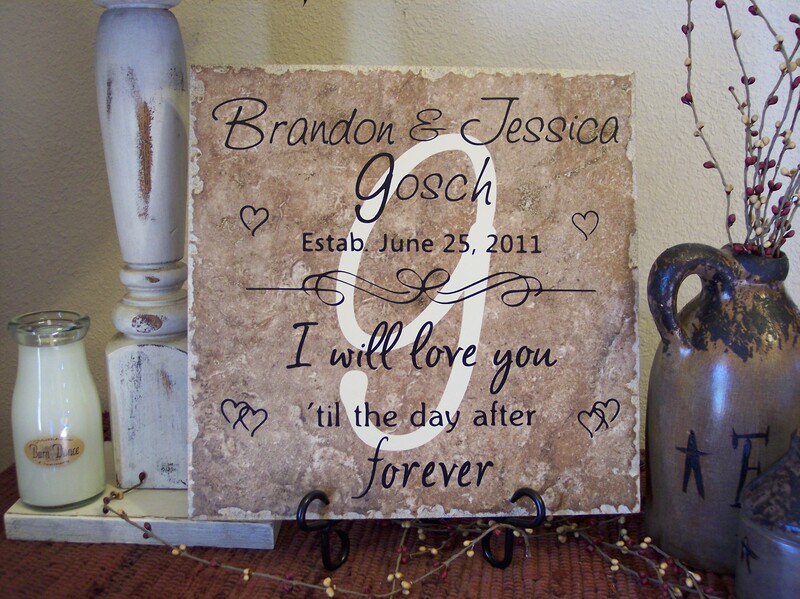 ALSO, keep in mind that if your bride and groom have longer first names, we will have to use a smaller size font in order to get them to fit across the tile. If you have any questions, please contact us at oreillytiles@gmail.com. 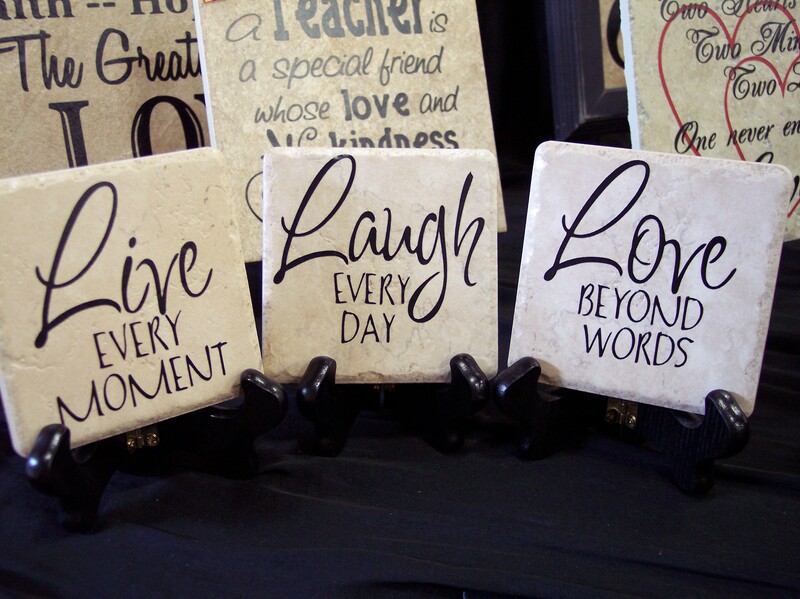 SPECIAL PRICE: You can get this set of 4″ tiles with wood stands for only $24! You can choose black stands (as shown) or dark brown wood stands. Just let us know which color you’d like when you order. NOTE: This photo makes the tiles look like they are different colors due to bad lighting. If you order these, the tiles will match! I’ll try to replace this photo soon with a better one! 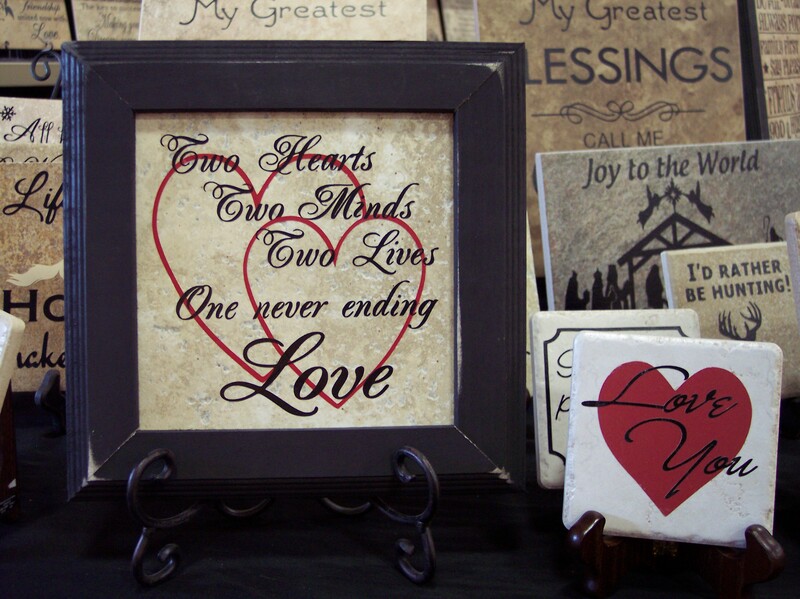 Two Hearts – Two Minds – Two Lives – One Never Ending Love with a brand new frame for our 6.5″ tiles. 6.5″ tile with 2 colors – $15. NEW! – Black distressed frame for 6.5″ tiles – $14 (We have a very limited quantity of these frames, so please email oreillytiles@gmail.com to check on the availability before placing your order. 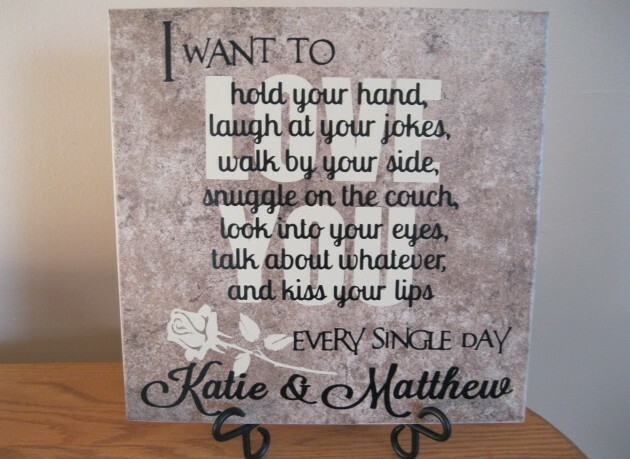 This makes a great wedding gift or better yet . 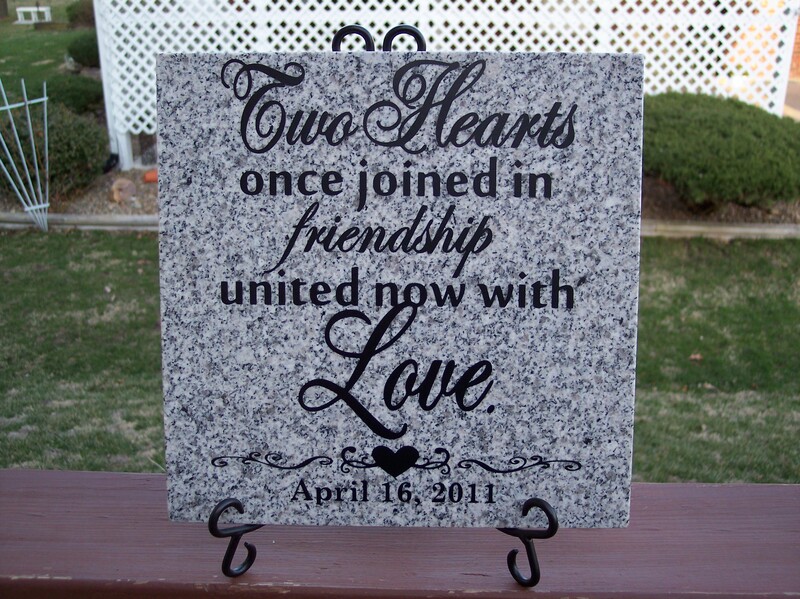 . . a lovely wedding decoration next to your guest book! Ok, so this isn’t on a tile . . . but it COULD have been! 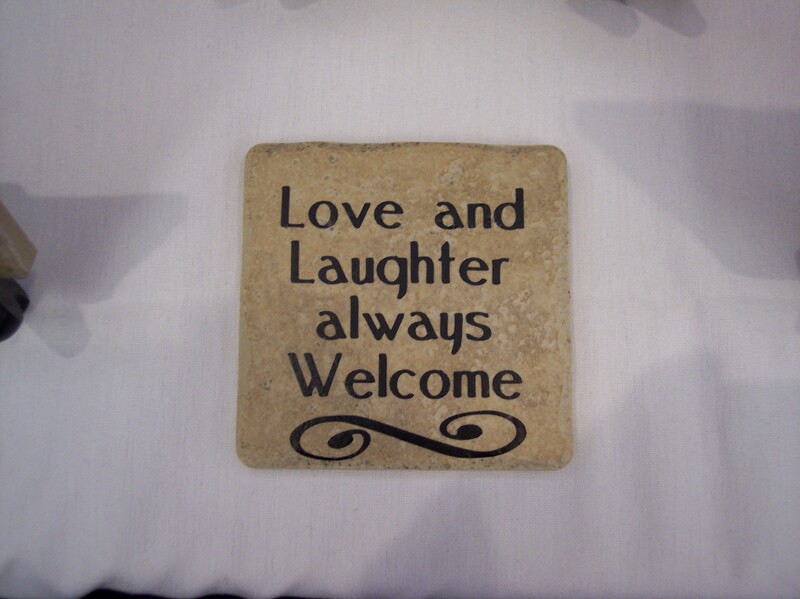 We used the same technique as we do with tiles, but we decided to put this saying on a photo frame for a wedding gift. 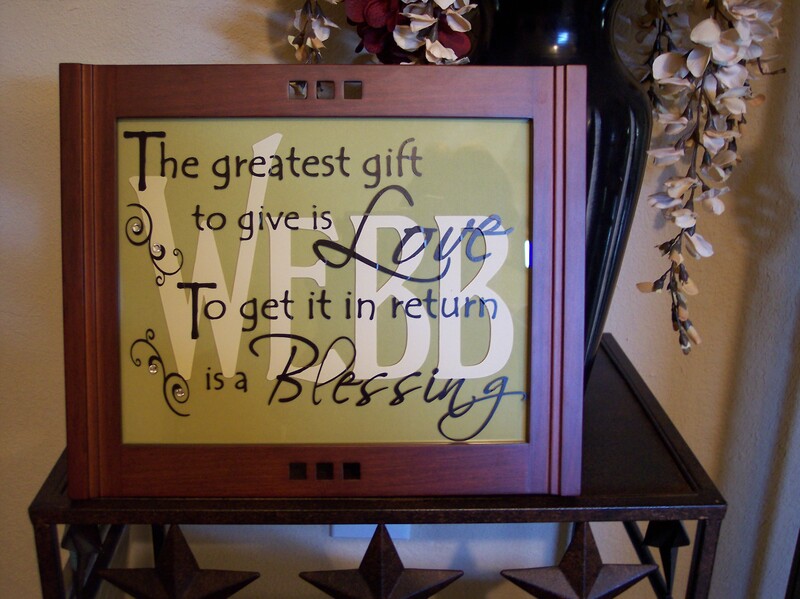 Design applied to 8×10 photo frame. 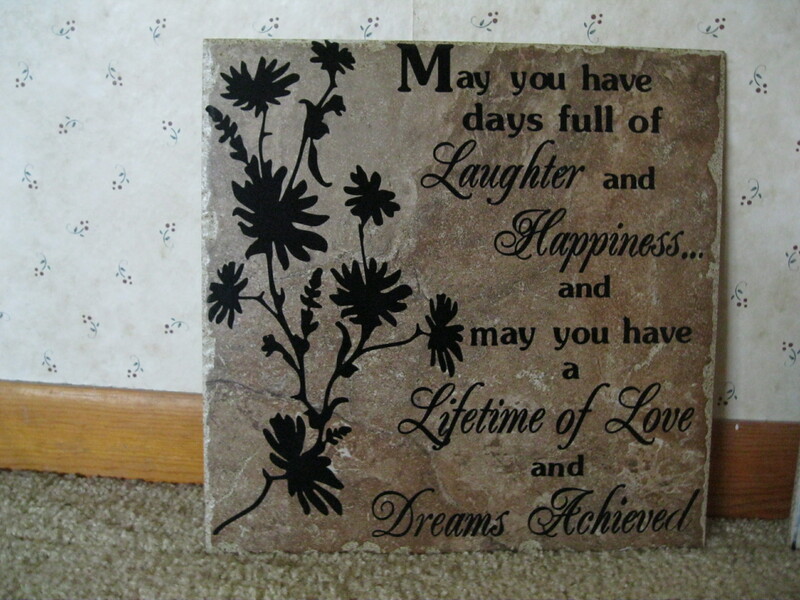 We are not selling photo frames, but we can put this same design on a tile for you! We have 9 x 12″ tiles that we can use, or we can use a regular 12″ tile. 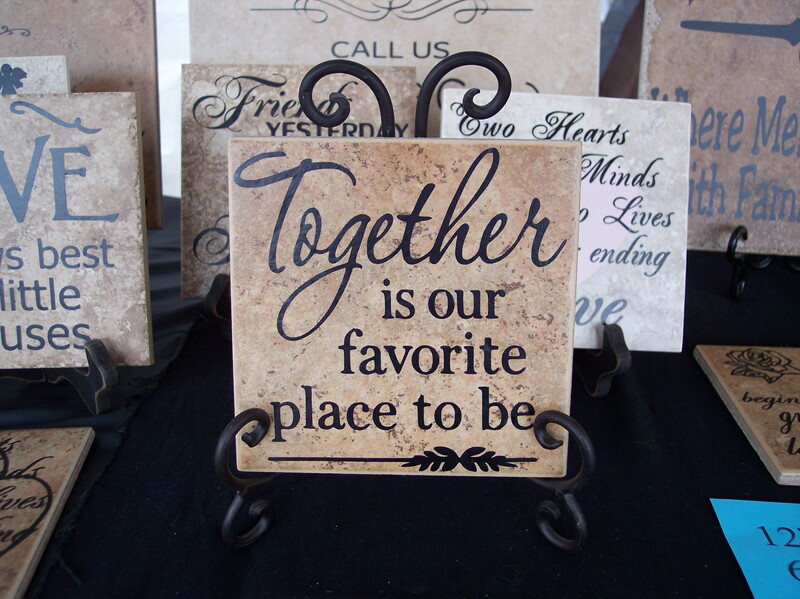 9×12″ or 12×12 tile with name in background – $28. No extra charge for 2 c0lors on this design! Keep in mind that the tan letters will have to be smaller if the name you want to put in the background is much longer than 4 letters. NOTE: The photo shows the design on a light gray tile. Be sure to let us know if you want a gray tile or a traditional beige, tan or darker brown tile. 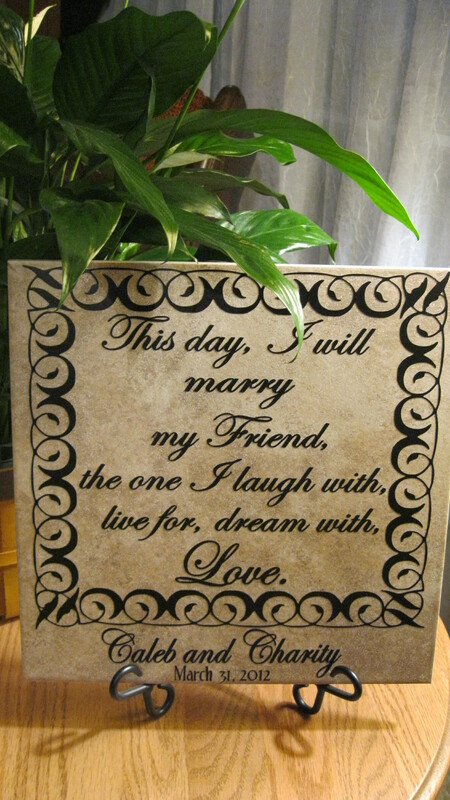 VERSION #1: This day I will marry my Friend, the one I laugh with, live for, dream with, Love. 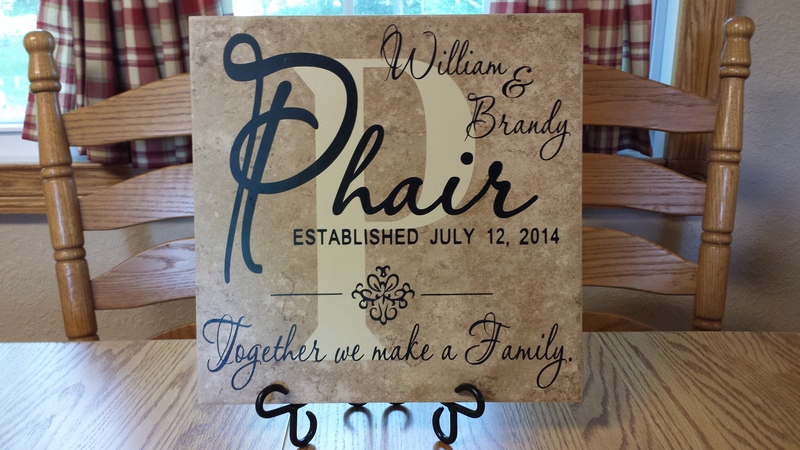 Personalized with names and wedding date! Please be sure to state you are ordering “Version #1″ when ordering. 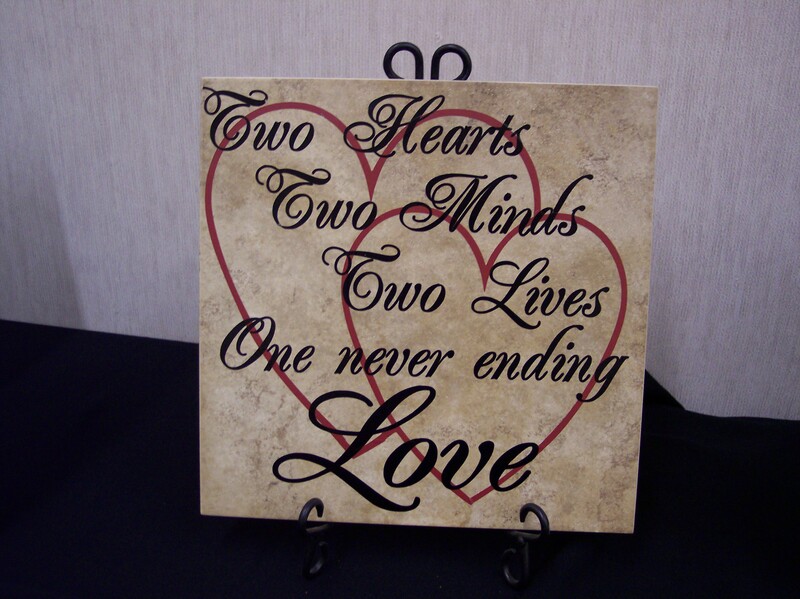 Two Hearts Two Minds Two Lives One never ending Love. 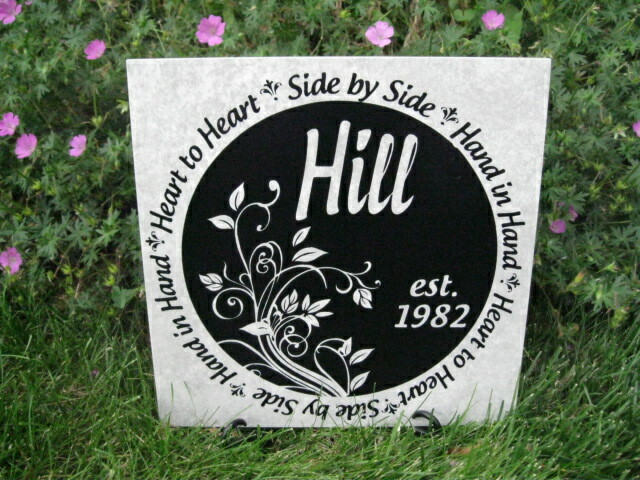 12″ tile – $19 – original version comes with hearts done in black vinyl. 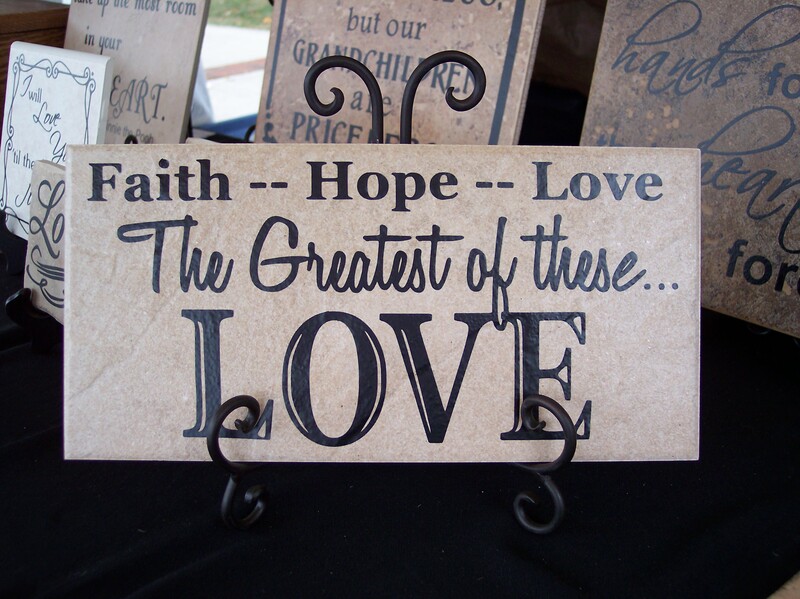 Faith — Hope — Love. The Greatest of these . . . LOVE. NEW TILE SIZE: 6″ x 12″ – $19. May you have days full of laughter and happiness and may you have a lifetime of love and dreams achieved. 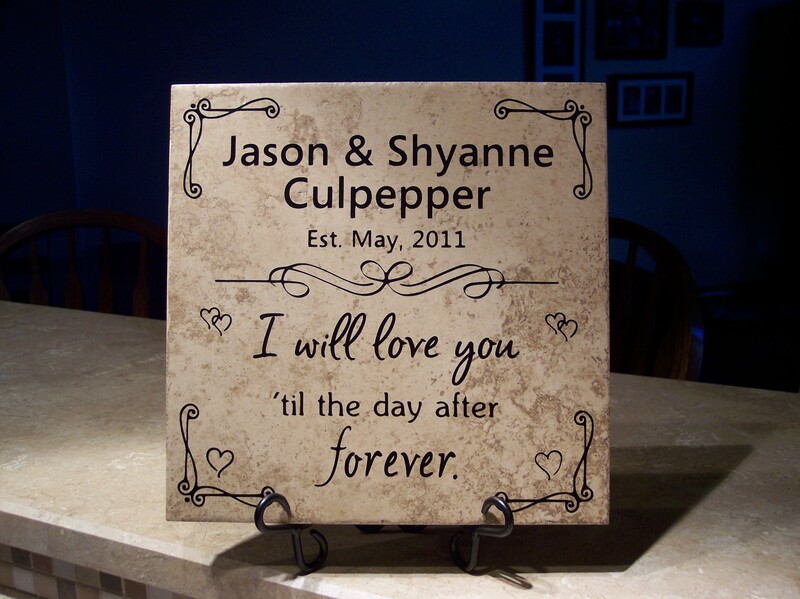 Personalized Wedding/Anniversary Tile — I will love you ’til the day after forever. Ask for Version #1. 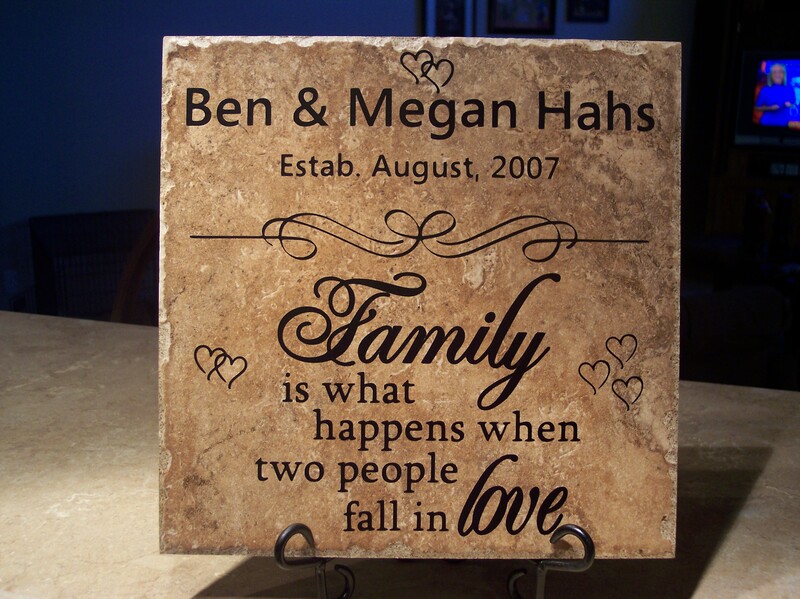 Please ask for Version #1: 12″ Personalized Tile – $28; add $3 for tan-colored initial in background. Two Hearts once joined in friendship united now with Love. Personalized with wedding date! 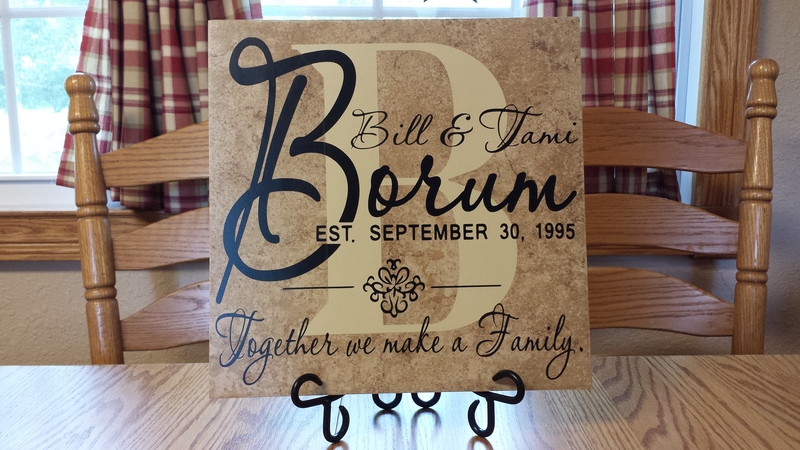 Personalized with wedding date – $25. Also available on a regular floor tile. 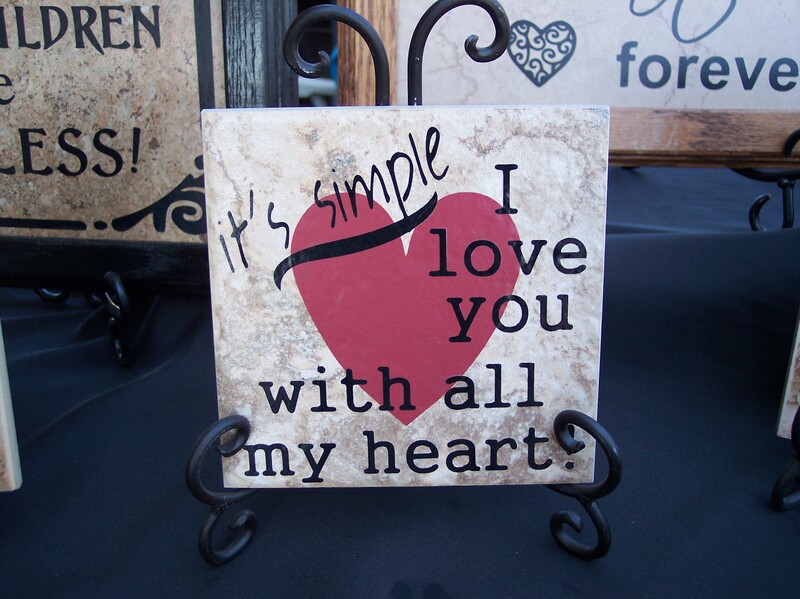 It’s simple – I love you with all my heart! Stands available: Wood – $4; curly metal (shown above)- $6.